Trojan Event Services has a small inventory of stages and audio/visual equipment available for rent. Please read the information below and click the links to submit a request for equipment. Portable Stage can be rented for use outdoors or in the Tutor Campus Center Grand Ballroom. Alternative heights and set up configurations are available. Clients must contact a Production Manager at least 2 weeks in advance of their event to make arrangements. All requests for the stage must be submitted at least two weeks in advance of the event date. Client must define how many of the 6 pieces they want. To ensure safety, stages must be setup on a hard, level surface. These stages cannot be set up on grass. Additional staffing charges apply for stage rentals made outside of TCC building hours. The portable sound system can be rented for Trojan Event Services outdoor events only where amplified sound has been pre-approved. The sound system can accommodate most events from lectures to small band performances. If you have any specific questions about what equipment is available, please contact Trojan Event Services. Additional sound equipment may be included based on your amplification needs. Additional staffing fees may apply. All requests for the sound system must be submitted at least three weeks in advance of your event. Staffing fees will be applied to any rental of the sound system. Fees are determined by the nature and complexity of your event. The sound system can not be set up or used if it is raining outside. Please submit all AV details for your event two weeks prior to the event date. Tutor Campus Center has a limited number of audio visual carts and sound systems for use in the meeting and event spaces in the building. 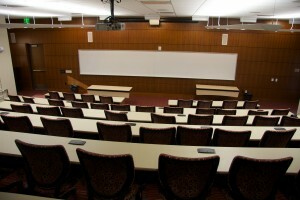 Note that TCC 205, TCC 227, TCC 302 and TCC 450 have AV equipment permanantely installed in the room. You do not need to rent an AV cart for these spaces. Input formats: 1/8″ (iPod) or RCA. Also from DVD player. Small Sound System Package has 1 microphone and can accommodate 1/8” (iPod) or RCA input formats. All requests for AV must be submitted at least two weeks in advance. We will make every attempt to accommodate late requests but cannot guarantee that equipment will be available. Tutor Campus Center does not have laptops for event use. Clients must bring their own laptops and adapters. The addition of an AV cart and projector to a room will result in reduced seating capacity.